Here is the question all parents should ask those to whom they wish to send their children for piano lessons; "Have you attended workshops, talks, seminars or masterclasses for piano students given by musicians from overseas?" If the answer is no, you can be pretty certain that the teacher will not be any good. Of course, it does not follow that every teacher who attends such things is good, but at least they will have had some inkling as to what is involved in playing the piano beyond mere physical action from the fingers. It is no excuse that the teacher may be living and working in a remote area. All the foreign examination boards, the local colleges, universities and conservatories, not to mention innumerable societies and concert-promoting organisations in south east Asia frequently put on such events even in small towns, and it was talking over with some members of one such society the viability of their running something along those lines that drew attention to the one serious drawback. Whenever such events take place, the same teachers always attend, and those teachers, because they do attend regularly, are the good ones. The bad ones, who would benefit most, invariably stay away. Ask them why they don't attend and they will usually tell you that they are too busy teaching and, in any case, their candidates pass exams well (the sole purpose, in their eyes, of teaching the piano in the first place) so such events are irrelevant to them. But, as a Canadian piano teacher fairly new to musical life in this region, asked; "How can they teach when they don't understand the background or the emotions of the music?". Coming up with the stock answer about Chinese pianists being great technicians but sub-standard interpreters, she was quick to stamp on my mild defence of Chinese pianism; "They are not even good technicians. For them, technique means playing fast and playing loud. They have no idea about subtleties of touch and tone control". And, of course, she was quite right. She went on; "If they want to play western music, they must accept the western concepts of subtlety and inner meaning, and if they are not prepared to learn that, there is no hope. Loud and fast might be all right for their own music, but it is not all right for western music". And that led me to think. What is "their own music"? Millions of Chinese children learn to play the piano, and many even progress far, but Chinese piano music is a mere drop in the ocean compared with the vast legacy of western music, while Chinese piano concertos, if placed back to back, do not even fill a single CD. 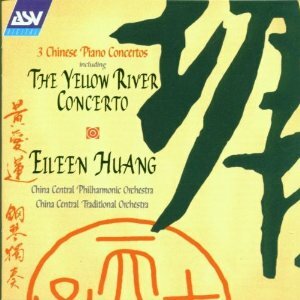 Only the Yellow River Concerto has established itself in the repertoire, and while I have found a few oddities among my CD collection, it remains the only true piano concerto by a Chinese composer (or, rather, by a collective of them). 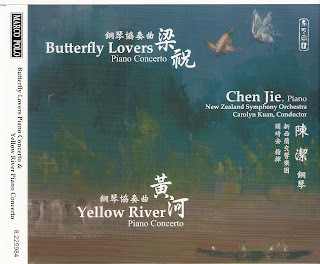 There is even a research paper available on the web (http://www.legacyweb.rcm.ac.uk/cache/fl0026770.pdf) which attempts to define the characteristics of Chinese piano playing solely through recordings of the Yellow River Concerto. 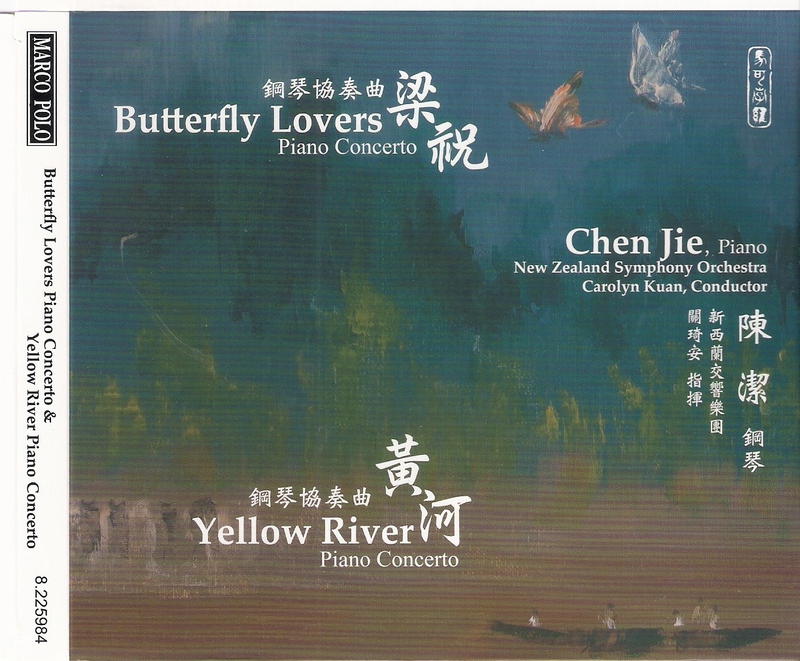 When it comes to the Yellow River Piano Concerto Chinese pianists are very much in their element with its grandstanding displays of loud, crashing chords and its bursts of unrestrained virtuosity. The very few times I have heard it tackled by a western pianist, the results have been pretty abysmal. They seem to look for something more - they want to find in it an equivalent depth of emotion and psychological intensity to that in Rachmaninov 2 - but its message is more attuned with the Chinese performing psyche than the European or American one. Nevertheless, Chinese pianists cannot live by the Yellow River Concerto alone, and in a bid to fill up her excellent CD – indeed, I would call it truly outstanding, possibly the best recording of the Yellow River Piano Concerto currently available – released last month on the Marco Polo label (8.225984), twenty-something Chinese pianist, Chen Jie, has made her own arrangement of that other ubiquitous Chinese concerto, the Butterfly Lovers. 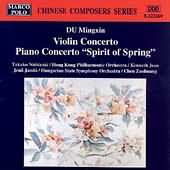 As everyone knows, the Butterfly Lovers is a violin concerto and while there is a famous precedent for a violin concerto becoming a hugely successful piano one it is by no means an easy or natural progression. For a start, the piano is percussive (especially under the ministrations of some Asian pianists) while the violin is lyrical, the piano is chordal while the violin prefers single lines, and the piano covers a large number of notes below the treble clef, which the violin does not. What delicacy and subtlety the Butterfly Lovers possesses is all down to the virtuoso role of the solo instrument, and we have already learnt that delicacy and subtlety are not natural elements in much Chinese piano playing. Chen Jie's response is to completely transform the solo part so that it becomes an idiomatic piece of virtuoso piano writing, the delicacy given to the orchestra leaving the piano to its grandstanding posturing in big chords and rapid figurations. Possibly because she herself is so clearly gifted in making a big sound and demonstrating rapid fingerwork, Chen's performance it completely convincing, and while it does not stand comparison with Beethoven's piano version of his own violin concerto, it certainly stands proudly alongside the Yellow River Concerto as an ideal vehicle to showcase the undoubted positive characteristics of Chinese pianism. Chinese pianists now have a second magnificent concertino to display their unique gifts, but for all that, if you want to broaden your repertoire beyond two concertos, some proper insight into the western approach to interpretation is still essential. While I admire your capacity for blunt honesty throughout all of your blog entries (some of them even offering a refreshing burst of humour in the much repressed sphere of classical music), I cannot remain silent in the face of such persistent prejudice towards the asian people implicit in almost all of your writing. Your critical attitude towards asian interpretations of western music may even be justified, but there is no need to express it in such harm terms; and most certainly, the Yellow River Concerto does not inherently ‘lack’ emotional depth because of its provenance. Yes, classical music may have been founded in the western tradition, and Chinese music may not have assimilated into that musical tradition, but the fact remains that we are very different cultures, and in fact our own music (even if it must be transmitted through instruments perfected in the West) appeals to a part of our cultural psyche that even a Rachmaninov, whatever its appeals, cannot. Is a Chinese critic then justified in saying that Rachmaninov “lacks psychological intensity”? Chinese compositions may never be as harmonically pleasing, as complex in structure, as dynamically grand as the great works of the classic and romantic periods centred in western Europe. But English calligraphy has never been up to the same calibre as the great Chinese calligraphers that have come to pass. And the sole reason the Chinese as a whole have come to be judged on their grasp of western music is purely another illustration of the cultural invasion westerners are still imposing on the world in this new age of globalisation. Though you are obviously (well, presumably, since I do not wish to come across as being overly presumptuous) adept at examining music, you inevitably do so through a western perspective, and that is not something I hold against you. Similarly, I will – with no ill intention - put in a note of request for you to kindly either separate your evaluation of music from its cultural background (in other words, evaluating a piece of music simply on its own merit), or put any particular piece of music into its proper context, and take that into consideration when delivering resounding judgement. Finally, there square measure non-weighted keys. These square measure like your typical synthesizer or church organ. They feel nothing like associate degree acoustic piano.